The UK's FASTEST supplier of STEAM and SHOWER Spare Parts and Replacement Parts. FAST DELIVERY Worldwide. Suppliers of Parts for AquaLusso, Insignia, Bathtek, Brownes Health, BPS, Cascada, JT Spas, Lisna Waters, Smart Price Warehouse and other makes and models of Chinese manufactured shower cabins, steam shower and steam with whirlpool baths. To view our extensive list of shower parts, spares and replacement for shower cabins, shower pods and steam showers, please choose one of the links in the menu to the left. We work hard to keep our website up-to-date, so ALL spare shower parts available are listed on the website. The website stock is updated immediately we have new stock available. Our most popular items are listed in the menu on the left down the page. 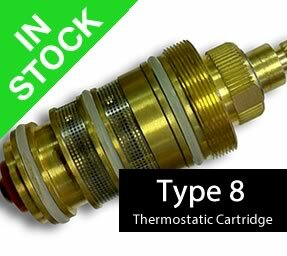 Thermostatic cartridges in Type 8, Type 6 and Type 12 are available from stock, as are shower valves, shower wastes, shower door runner wheels, water inlet parts, hoses and hundreds of other items for your shower enclosure. Do not forget to try the SEARCH function to speed things up! Most of the shower spare and replacement parts we supply are GENUINE AquaLusso Parts and are compatible with many other models. Most of our items come from in-house held STOCK to offer you an unequaled SUPER FAST DELIVERY SERVICE. Welcome to Steam Shower Spares the website that provides largest source of spare parts for steam showers, shower cabins and whirlpool baths. This website provides replacement parts that fit many types of showers manufacturered in China. We are a UK based and owned company, with many years of experience in the steam shower and whirlpool industry. We are able to supply most items to Europe, North America and Canada. Most parts of showers made in China are very similar, so finding a replacement should be quite easy. All items are fully photographed and are given measurements and specifications to ensure the parts will fit your needs before you buy. If you need any extra help or want to ask us a question, please do so by emailing us. Please note that all items shown as INSTOCK when ordered will be processed for dispatch within 1-2 working days. Most items (unless indicated otherwise) are sent by First Class Royal Mail and can take upto 7 working days to arrive. The shower parts we offer are compatible with several makes and models available in the UK and Europe as well as being compatible with many, hundreds of shower, steam shower, shower enclosure, shower cabins and steam pods available Worldwide that use the same component parts. We would however always advise CAREFULLY checking the items you are looking to puchase are suitable as there are some parts that MUST be the correct type, not just similar. Always remove items like divertors, thermostatic cartridge valves etc and compare them. If we do not have the precise information on the website to help you, then please send us images of the item, measurements or ask before purchasing. 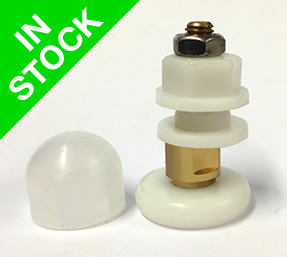 cabins and steam shower valves is in stock. 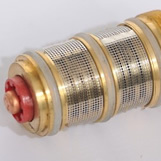 The Type 8 is a threaded fitting cartridge. steam showers and shower cabins. Available in 2's, 4's and full sets of 8.
as well as other styles of cams. with the chrome overhead shower. White Barrel styled steam pod. Why shop with Steam Shower Spares? Steam Shower Spares are perhaps the UKs LARGEST supplier of spare parts, replacement parts and retro fit spares for Shower Cabins, Shower Enclosures, Steam Showers, Steam and Whirlpool Baths. Our stock is compatible with a large amount of showers produced in China and sold within the UK, Europe and Worldwide. 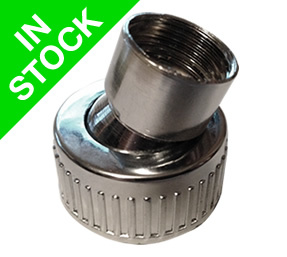 Steam Shower Spares in Stock! 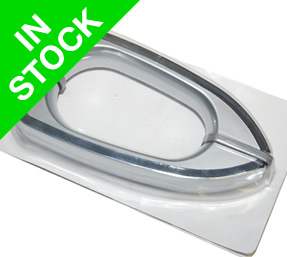 Our stock supply is so large that we even supply other online shower parts retailers parts to sell on their websites. Steam Shower Spares are also the leading supplier for Genuine AquaLusso Shower Spares for outside of Warranty as well as compatible parts and spares for other shower brand models. 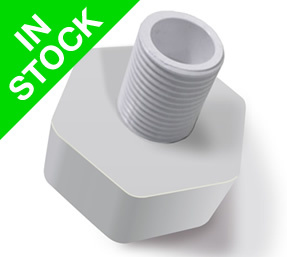 We recieve regular stock updates (approximately every 2-4 weeks), so if the shower part you are looking for is not currently in stock, we are sure it will be very soon. We have many parts that you can choose to upgrade or change from the original, such as door handles, most shower door handles fit with the same specification (145mm between fixings), so you can be free to change things a little to something more stylish perhaps. 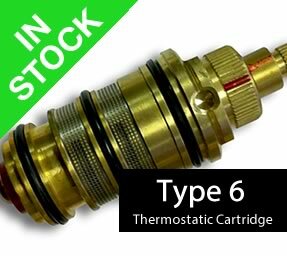 We are also able to supply Type 8, Type 6 and Type 12 and the latest generation cartridges with a Vernet Wax Sensor type Thermostatic Shower Valve Cartridges for use in Shower Cabins and Steam Shower Valves supplied by some of the UKs most popular suppliers. 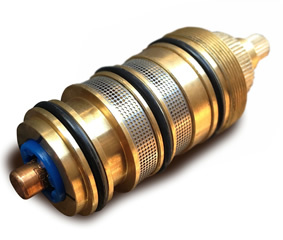 The very latest generation Thermostatic Cartridge with the Vernet Sensor is 100% compatible with the slightly older Type 8, threaded Brass cartridge. 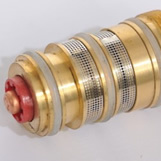 The additional cost is more than compensated for the increased accuracy and Lifespan afforded this thermostatic cartridge due to the use of the French produced Vernet Wax Sensor built into the Thermostatic Cartridge. If your shower cabin is from Bathtek, AquaLusso, JTSpas, Bath Depot, Brownes Health, Victoria Plumbing, Insignia, BPS, Cascada, Di Vapor, Forthill Home, Smart Price Warehouse, Indigo Showers, Lisna Waters, Heat and Plumb, AquaPlus, New World Bathroom or if it was made in China; as most are, then we are probably able to help! Please also check our Compatability section (link at the botton of this page) for models we are unable to support. Looking for replacement parts for your shower? Steam Shower Spares is the UKs largest supplier of spare parts for Steam Shower Cabins, Shower Cabins and Steam Shower Whirlpool Baths. With 1000's of parts held in stock for same day dispatch we are 100% confident that we can get your shower back up in super quick time. As well as the countless unbranded steam showers and shower cabins we are also able to supply replacement parts for Aqualusso, Insignia, Aquaplus, Brownes Health, Brownes of London, Smart Price Warehouse, JT Spas, Lisna Waters, Burnley Plumbing Supplies, Victorian Plumbing, Cascada Bathrooms, Trading Depot, Heat & Plumb, Bathtek, Bathtek North West, Bathtek Bridlington, Prestige Bathrooms, Indigo Showers, Superior Showers, Better Bathrooms, DiVapor, Steam Shower Supply, Eden Steam Showers as well as many others. With over 10 Years experience in the industry Steam Shower Spares is the number 1 choice for replacement parts & solutions for your steam shower and shower cabin. We offer worldwide shipping so no matter where you are located we can help. As well as the support videos and help documents on the site our technical team will gladly talk you or your plumber/engineer through your issue to ensure you order the correct replacement part.